Premium quality, high density, and custom fit. Color-matched with logo on drivers mat. 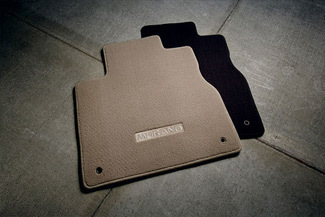 Driver's mat secures with grommet/hook system. Non-slip backing..